Facebook is a rapidly growing social networking site in the world. Daily millions of user join Facebook.They can meet their friend, chat with them, share the photos on the Facebook. But also Facebook has some limitation. You cannot add more than 5000 friends on your list. When your number of friends reach to 5000 then you cannot accept the friends request sent by your friends. Mostly actor, actress, organization or some other renowned person face this problem.This is the most disadvantage side of Facebook. And the only one solution for this problem is to create a fan page where you can add and interact with any number of your friends. So I will share you the link below where you can visit and change your Facebook profile into a Facebook fan page. 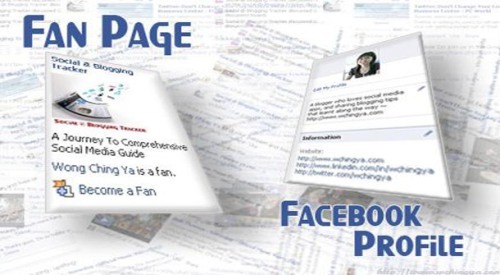 You must first log in to the Facebook Profile that you want to change to Fan Page. Before changing your Facebook Profile into Fan Pages you must download all the information you had put in your Facebook Profile because after changing your Facebook Profile into Fan Pages the information you had put will be deleted. for example if i change my facebook in to fan page then if we dont want to fan page and want same as before then is it possible to change fan page to profile page? Sorry, after you change your facebook profile into fanpage then you will be not able to change again into facebook profile.